The best way to get better at something is to do it. That holds true across all categories, from learning a new skill to playing a sport. And, it means that if you want to improve your running, you need to run. But, in the margins, there are plenty of other exercises that you can do to help your cause. 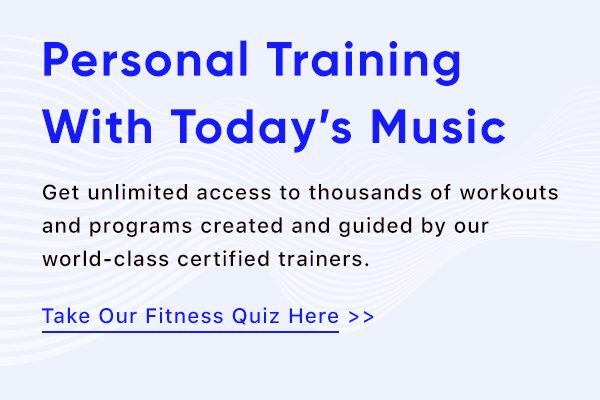 From upper body exercises to boost your propulsion to core exercises that help to maintain your posture and form, it’s important to think beyond just logging miles. That’s where these leg exercises come into play. 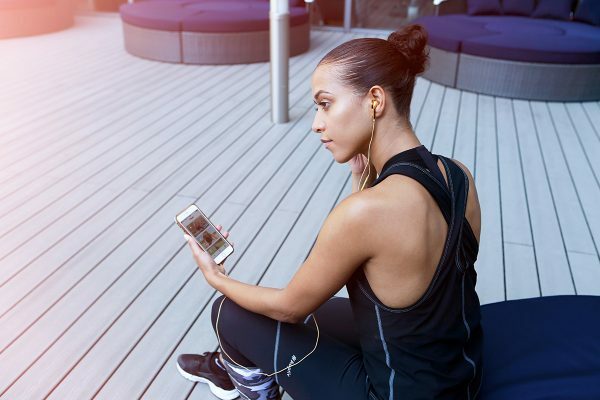 With the help of Aaptiv Trainers Wes Pedersen and John Thornhill, we’re looking at how certain leg exercises can build muscle, promote proper form, and generally make you a better runner. Whether you’re interested in lifting weights or enlisting your body as resistance, there are countless ways to strengthen your legs. Here, we’ve got six trainer-approved favorites. Try adding these exercises to your workout regimen, and see how your running improves. With your feet shoulder width apart, grab a barbell or kettlebell and hold it at your thighs with your arms straight. Keeping just a slight bend in your knees, hinge at the hips to lower the weight to the ground while keeping your back flat. At the bottom, push through your glutes and hamstrings to raise back to the starting position. 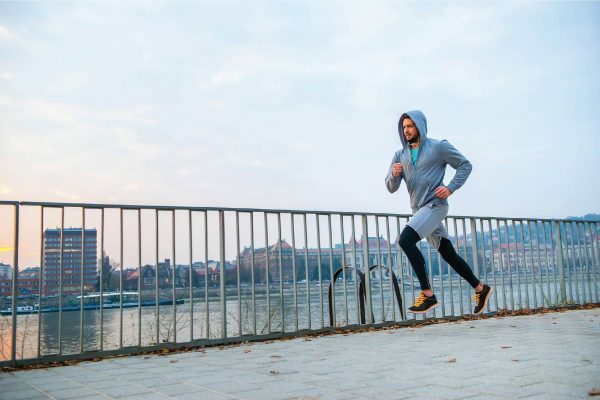 Running takes place one step—and one foot—at a time, so it’s important to be able to handle your bodyweight (and more) on one leg. Stagger your stance so that your front foot is placed firmly on the floor, and the top of your rear foot is on a bench. Your feet should be roughly three feet apart. Lower down into a squat, so that your rear knee approaches the floor. At the bottom, drive through your front heel to return to the starting position. Start in a side plank on your hand or forearm, maintaining a straight line from your shoulders to your feet. As you hold this position, slowly raise your top leg. Pause at the top, then return to the starting position. This joint-friendly exercise builds muscle in your glutes and hamstrings to make you a more powerful runner. “For added resistance, use a band wrapped around the tops of your knees and focus on keeping the tension in the band,” says Thornhill. Lie on your back with your knees bent and feet flat on the floor. Squeeze your glutes and lift your hips off the ground, flexing your hamstrings and glutes while keeping your head and shoulder blades on the floor. Make a straight line with your body, then hold at the top for a second before slowly lowering back to the starting position. Do 12 to 15 reps.
Find a stable box or bench to jump on, and stand eight to 12 inches away from the object. Bend your knees and send your hips back into a half squat position, bringing your hands beside your pockets. With explosive energy, jump onto the box, and land in the same half squat with your feet fully on the box. Then engage your glutes to rise up to a standing position. Repetitive movement can cause tightness in the hip flexors, but these stretches can help relieve pain. 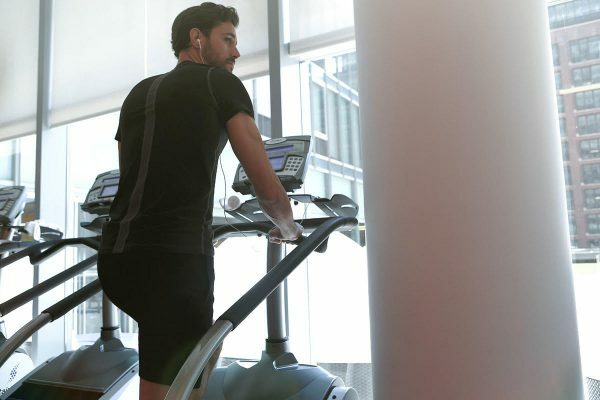 We love the stair climber for its toning effects, but that’s not all the machine has to offer.